The Bethel Mission Settlement was a community of Lenape Indians who converted to Christianity under the sway of evangelical Presbyterian minister David Brainerd. At its peak the Bethel Mission Settlement housed 200 people in forty homes; it also boasted a church and a school. The settlement, which lasted from 1746 to 1759, was broken up by Chief Justice Robert Morris during the Seven Years’ War at a time of heightened mistrust of the Lenape – even those who had been baptized into the Christian faith – on the part of the white settlers as a result of war-related violence in northwestern New Jersey. It was the precursor of what is commonly known as the Brotherton Indian Reservation, in Burlington, a community that lasted from 1760 until 1801. 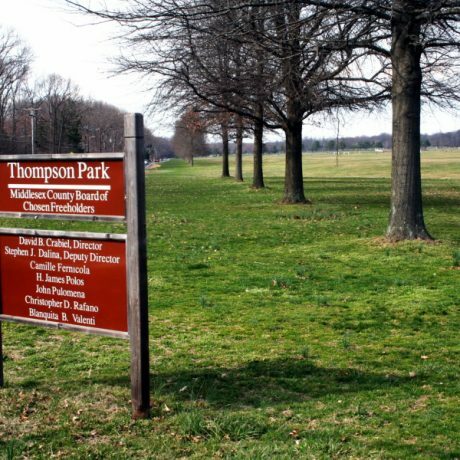 The likely location of the settlement in Thompson Park in Monroe Township is an important 18th century native American archaeological site. Since the area is currently open space it helps preserve the landscape and any sub surface archaeological resources that may remain. However, the township is proposing to take some of Thompson Park for a new school by swapping roughly 150 acres it owns elsewhere in town for thirty-five here. While this would be a net gain of open space in the township, itself a laudable goal, there has not been a cultural resource survey undertaken on the park site. PNJ feels that there is no reason why a determination of the significance of the archaeological resources should not be made before a decision is made that could lead to their permanent destruction. At the request of the DEP, a private firm completed an archaeological Phase I survey of the 35-acre parcel and concluded that the mission site had been actually located about half a mile from where the high school is proposed. PNJ urges Monroe Twp. to find a suitable plan that will protect the site of the mission from future development. 07/07 A nomination for consideration for the State Register of Historic Places has been submitted for the site. The DEP has called for a Phase II archaeological survey in 3 locations.